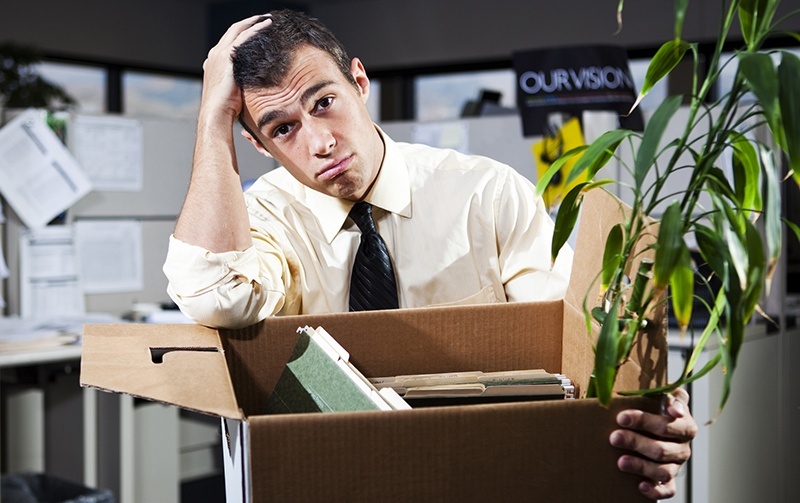 Most of us know someone who’s lost a job due to a company-wide layoff. Sometimes we see it coming, and other times we’re completely blindsided. Nevertheless, anyone who’s been laid off asks themselves the same thing: what happened and what’s next? If you’ve been laid off, and unfortunately it can happen to the best of us, remember that you’re not alone. It’s natural to want to fix the situation and find a new job quickly, but it might take time to get situated in the right environment again. The important thing is to take this day-by-day and breathe. Here are a few challenges we’d like to help you overcome as you start searching for a new job. Being laid off from your job is giant kick in the gut. You can’t help but ask yourself if you did something wrong, but we always encourage our clients to try and approach the situation from a different angle. Don’t ever feel like you personally failed in some way, or consider yourself fired. A layoff is a very different circumstance. Your work performance did not cause you to be laid off; your employer made changes to the business, and then had to make some big decisions about letting workers go. So, take a day (or week) off to cry or rage at the unfairness of the situation. Get all your emotions out so you can start your career search with a clear head. Keep in mind that the national unemployment rate is at 3.8% (according to Forbes), meaning the United States is at the lowest unemployment rate in 20 years. You’re a free agent while the job market is at a historic peak. If you’re walking into a job interview and you’ve been unemployed for a few weeks or months, most likely the interviewer will ask why that is. This is your opportunity to explain the circumstances of your previous employer, and that the layoff was in no way a result of poor work performance. Most layoffs occur due to business-wide decisions and not specific performance issues, so if you were laid off as part of a group, mention that. Your response to this question doesn’t have to be lengthy. A few sentences summing up the situation are enough. Make sure you maintain a neutral, positive tone and avoid saying anything negative about your former employer or employees. Make the interviewer understand that even though you no longer work for that company, you learned a lot and grew professionally from it. Another way to help ease any concerns during your interview is to have a letter written from your previous employer explaining the layoff in his or her own words. This letter can be short, while clarifying that you were laid off because of other uncontrolled factors, not fired because of personal performance problems. This is a great tool to have on hand during any interview, or when you’re asked for references. Maybe it’s been awhile since you’ve been in the job-hunting game and you’re not sure where to start. Job searching has become more complex in recent years, and doing an effective search on your own may be difficult. This is an opportune time to work with career coaches (like us! ), who help unemployed individuals work through the initial shock and anxiety and guide them on a path to finding the right career with a positive outlook. Career coaches take the time to get to know you personally, understand what type of career you’re looking for, and help you achieve it: whether that’s helping you identify types of jobs to look for, building a powerful resume, or strengthening your interview skills. At MJW Careers, we’d like to think of ourselves as your supportive network for career searching. We know being laid off feels like you’re stepping into the unknown, but we’re here to tell you that you can retake control of your professional life and create a plan for success. Get in touch with us and see how we can help you!